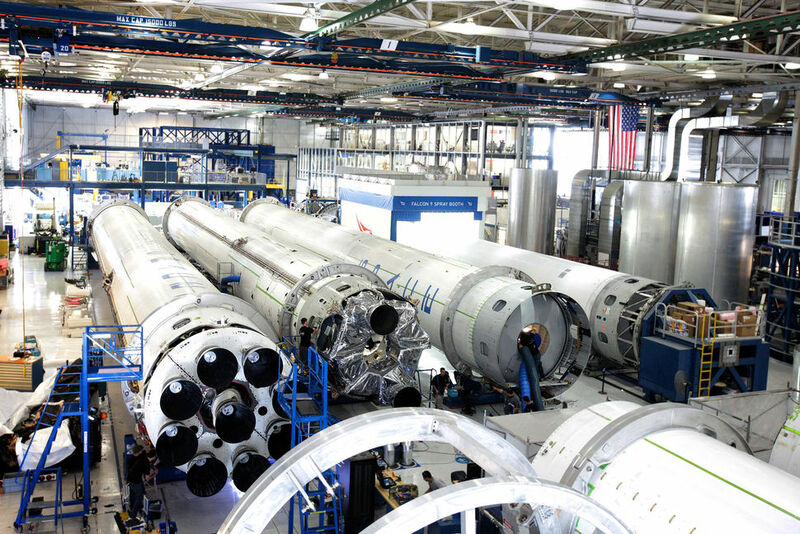 CAPE CANAVERAL, Fla — One of the most anticipated flights of 2015 is still on track according to representatives from Space Exploration Technologies (SpaceX ). The first flight of the company’s Falcon Heavy booster, is on track for a third quarter launch. SpaceFlight Insider spoke with SpaceX’s John Taylor to find out a bit more about what we can expect to see from the NewSpace firm’s latest offering. Taylor, a spokesperson for the company was asked if the launch of the Falcon Heavy was still on track for this year. He confirmed it was and that both the vehicle and its launch site, historic Launch Complex 39A, located at NASA’s Kennedy Space Center in Florida, were moving ahead with a launch date currently planned for sometime in the third quarter of 2015. 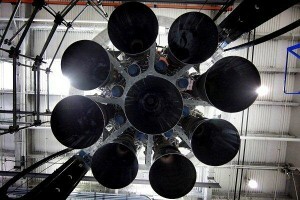 “We are still planning on launching the first Falcon Heavy later this year,” Taylor stated. SpaceX describes the Falcon Heavy as the most powerful rocket in the world and is, in many ways, similar to United Launch Alliance’s Delta IV Heavy rocket. This stems from the fact that both boosters are, essentially, three rockets strapped together as one. One of the more obvious differences in the two designs is that the Delta IV Heavy uses three Aerojet Rocketdyne-provided RS-68 rocket engines and the Falcon Heavy uses 27 Merlin 1D engines – produced in house by SpaceX. SpaceX has listed the rocket’s lifting capability at being 117,000 lbs (53,070 kg) the Delta IV Heavy, by comparison is capable of lofting 63,470 lbs (28,790 kg) to low-Earth orbit. However, a rocket’s true qualities are written after it has flown. Whereas the Delta IV Heavy has been launched eight times so far, the Falcon Heavy has yet to take to the skies. If SpaceX’s latest offering is as advertised, the Falcon Heavy should be capable of generating some 3.969 million lbs (17,615 kilonewtons) worth of thrust at liftoff. Shortly after the 27 Merlin 1D engines power the booster and its precious cargo off of the pad, the three booster cores will throttle back, not long after the two outer booster cores will detach, falling back to Earth (or, potentially, fly back) leaving the central core to throttle back up to full power. SpaceX lists the heavy-lift booster’s capabilities at approximately 3,969,000 lbf (17,615kN) at sea level and 4,500,000 lbf (20,017kN) in a vacuum. When asked if the Falcon Heavy first stage would be reusable, Taylor responded that it would, making it, as with other members of the Falcon family – unique. SpaceX made its first attempt at landing a Falcon v1.1 first stage booster on a floating launch pad on Jan. 10 of this year. However, the test was not a complete success as the booster did not make its landing. With a full 2015 launch schedule, the company has plenty of opportunities to get it right, however. They plan to eventually move the landings to Kennedy Space Center’s Launch Complex 13; however, given the complexity involved with landing not one, but three F9 booster cores, this would be quite an ambitious task. NASA and SpaceX announced in April of 2014 that SpaceX had signed a 20 year lease for use of LC-39A. The NewSpace aerospace company, based out of Hawthorne, California then announced that the historic site would be the location from which it would launch the Falcon Heavy from. “As the world’s fastest growing launch services provider, SpaceX will maximize the use of pad 39A both to the benefit of the commercial launch industry as well as the American taxpayer,” Shotwell said. Now is the time to cancel SLS/Orion and put an end to the last pathetic vestiges of the Constellation program. Why waste money on an SLS that will never get off the ground when the SpaceX vehicle is almost ready? NASA will never catch up, and even if it does it will not have the funding to go anywhere. Put NASA out of its misery now, and give the money to SpaceX. Why can’t we have both? SLS and Falcon Heavy are not in the same league. SLS is build specifically for the greater space missions, while FH is a simple call from SpaceX to hit Proton and Ariane 5 with dual carriages of multi-tons GEO satellites. Sure, Falcon Heavy can and probably will get some pretty awesome stuff into space, but it doesn’t share the same purpose as SLS. Which is overly priced, yes. Poorly timed, yes. Undoubtely complicated and whithout any “greater good” mission. Still, going forward. I’m a space enthousiast for some time now, and while not a SpaceX fanboy, I get pretty excited about how this particular firm has shaken the hole industry. NASA has a lot to offer to USA and the world, and they are asked a lot from the policital side. I think private and public sectors are gonna work closer and closer as time goes. SLS/Orion is eating NASA’s seed corn. It is not just that it is costly. The problem comes from the specification of a rocket by political staffers which requires so much money to develop that NASA has nothing in its Human Spaceflight Budget left to develop missions and payloads that need SLS to get into orbit, or Orion to provide crew space for. Development of human-scale lunar landers has stopped in NASA. Development of In Situ Resource processing and use is barely alive at NASA. Development of the robot sensors and building equipment needed to precede a crewed landing anywhere in the Solar System has stopped. This is all because spaceflight is not politically profitable in the US outside a few places near NASA Centers. That, and the view of many in Congress that a few votes for large SLS/Orion line items are cheaper, politically, than the votes needed for 2 big programs, and thus more desirable. Most other individual congressional votes from legislators outside those districts have to be bought with a vote for something spent in that Congressman or Senator’s area. That means the $18-20 billion that NASA gets is enmeshed in deals totaling 100s of billions of dollars. That is why simple calls for a larger NASA budget to pay for missions and payloads for SLS will not work. Actually, “simple” is why you are trying to generate a fiscal and political smokescreen to make this too complicated for anyone to make sense of. Statements like “eating NASA’s seed corn” are so arcane when applied to spaceflight it is just accepted as having meaning. I am not baffled by this kind of argument after so many years of overuse. It is not about politics and money per se; it is about technology and decisions. The first “simple” fact is that space travel means going somewhere. Not endless circles in Low Earth Orbit. All the Byzantine politics and financial dealings being presented as fact are due to vested interests maintaining the illusion the U.S. actually has a space program. LEO is not space. Abandon the ISS and drop commercial crew and suddenly there is money for SLS missions. The ice on the Moon should be the focus of the entire human spaceflight community. It is the game-changer, the enabler, the sea change. Semi-expendable robot landers can harvest ice and shuttle water to lunar orbit wet workshops. With water-as-radiation shielding a long duration human presence Beyond Earth Orbit will finally become possible. And that is a space program. This is what so many people want nothing to do with and will not even talk about. Especially NewSpace. Take a look at any one of half a dozen DOD programs and the money for a real space program is easy enough to find. The problem is cold war toys don’t really have to work; spaceships have to work. Space (as in BEO) is hard money and defense is easy money. For LockMart and Boeing space is a sideline. The New Space tactic of yelling cheap is so wearing thin. Wrong. Political allocation of resources is *always* about politics. NASA’s budget is political allocation of Federal Government financial resources to spaceflight. It is the inversion of Toynbee’s definition of the Industrial Revolution “Whenever a society switches from allocation of resources by custom and tradition (read politics) to allocation of resources by markets, it can be said to have undergone an industrial revolution.” That is why State expenditure of resources is so inefficient. Political hierarchy is served first, and the benefit to the rest of society a long ways behind. Moving the goal posts again, are we? 5 years ago people were telling me that a 250 kilometer high crewed suborbital flight would not be spaceflight. Now that we are within 2 years of some of Civil Society (i.e. outside the State apparat) getting to LEO velocities and altitude, LEO is no longer Space. Frankly, your attitude that nothing but the precise program you want to see is of any value is so limited that it fits well with a political hierarchy’s demand to monopolize resources for the one plan that benefits a small number of politicians. By the time that private groups are settling into some of the 300 identified lava tube cave candidates on the Moon, then you’ll be saying that anything inside lunar orbit is not “real spaceflight”. No Sale, Ceresdriver. Space is not politically important. So, political allocation of resources to it will always be minimal, and too often distracted to political uses, rather than to getting the Solar System settled. Thus, we need competent activities through NASA to be sustainable under its low priority in political hierarchies. Then, to make sure that allocated resources *can* grow, we need to go outside the political hierarchies to the rest of Civil Society, through market networks. The LBJ-wannabes pushing SLS within Congress keep demanding a single effort they can milk for political benefit, and you are eating out of their hand. They have no interest in settling the Solar System. If they did, they wouldn’t be pushing rockets they cannot afford to launch but every other year, while their standing ground support army sits waiting, and voting to send Patron back to Congress. Now is the time to cancel commercial crew and put an end to NewSpace. Why waste money on Low Earth Orbit when the SLS is almost ready to go far beyond anything SpaceX can accomplish. The lashed together 27 engine throwback is completely inferior to the SLS. Put NewSpace out its misery now by abandoning the ISS and going to the Moon. Very well said Ceresdiver, SLS is the future weather or not the new space groupies like it or not. You do realize that NewSpace is going to the moon? The idea that cancelling programs like Commercial Crew (that you term “new space”, despite Boeing winning the majority of the latest award) would free up sufficient funds for NASA to embark on ambitious BEO missions using their traditional contracting approach is laughably ludicrous. NASA will be spending about as much on both CCtCap awards annually, combined, as a Mars rover mission costs. The fact is that NASA’s mandate covers not just BEO, but also LEO, and the atmosphere (hence the first “A” in NASA). And having so-called newspace companies like SpaceX operational saves NASA money, which is why SpaceX is scheduled to launch multiple NASA science missions (including the DSCOVR probe, which SpaceX will deliver to L2 for a fraction of what Boeing would charge for an Atlas V). Further, ISS (in LEO) is in fact in space, and is an ongoing part of NASA gaining experience with long-duration missions and the associated life-support systems for them, and finding out more about the effects of long-term space habitation. Is it fair that ISS eats up a large part of NASA’s HSF budget? Maybe not – but it’s a project we committed to via international agreements, and it’s a useful testbed for technologies like VASIMR, and inflatable habs (BEAM), and more. Ultimately, NASA will never be sufficiently funded to pay for an Apollo-style mission to put humans on Mars, and having companies like SpaceX around that are working on super-heavy lift rockets like the Raptor-powered BFR will provide NASA will cheaper and lower-risk off-the-shelf options for putting that mission together. Kirk, I actually do believe Spacex will be delivering DSCOVR to a L1 not a L2 orbit. 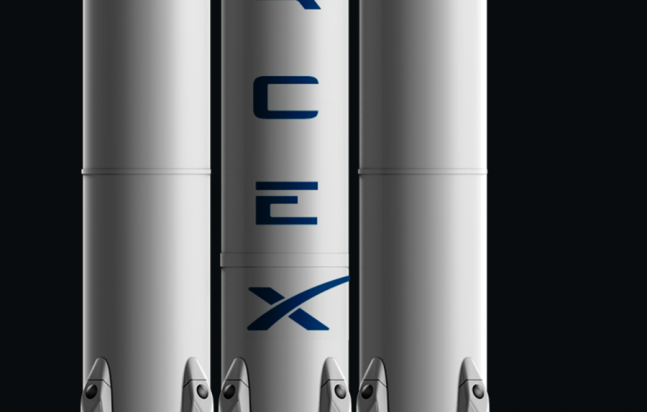 As much as I like SpaceX, I know that falcon heavy still falls short of what the SLS brings. However a raptor based rocket may be a different story. The proposed Raptor vehicle is nothing but an inferior SLS. Only truly large amounts of money can build the Super Heavy Lift Vehicles necessary For Human Space Flight Beyond Earth Orbit (HSF-BEO). It requires the same kind of state-sponsored program as Apollo. Vehicles larger than the SLS will eventually be required and even those will be for establishing a lunar infrastructure- not for space travel. Real spaceships will be nuclear propelled and will operate from the Moon. That is the reality and NewSpace is making ludicrous promises. Gary? The lingo is the same. IMO, in the end, cost and payload is what will speak volumes. If reports (recent Elon AMA) are to be believed (2,224kN per) then a Raptor based falcon (scaled up f9) could deliver roughly 70mtons to leo. Not bad for a hobby rocket. Not to mention they may also do boosters as well. FYI, it is in Nasa’s plans to kill off the SRB boosters and to use liquid based boosters for the SLS. It’s not that I want to see the SLS killed in favor of Spacex’s BFR/MCT. But it’s a political world and if they launch the Raptor rocket, there will be some serious questions asked of the program. Especially if launches anywhere around the time of the SLS Block 1. Ahh – so he found a “new home” after space politics. I can only pray to god that you never go into politics with the type of twisted agenda you argue. Every stated goal you make represents moves that would be disastrous to manned and unmanned exploration’s long term health, not to mention some pretty bad environmental issues. Several of the segments on the SRB used for the Ares-1X were over a quarter century old and had been used on several shuttle flights. Though reusing the shuttle SRB’s did not break even it did allow an extremely cost-effective inspection program (I visited the company on the old Naval Air Station on Alameda where the x-ray systems were calibrated). Because the steel segments could be inspected in a way no liquid rocket ever can be, there were over 200 perfect firings in a row of the 2.8 million pound thrust boosters. That technology has been improved with even better inspection systems for the 3.6 million pound thrust 5 segment SRB’s on the SLS. It is awesome technology that no other nation has and while SpaceX claims their “heavy” is the most powerful rocket in the world, 24 of those 27 engines equal the thrust of one 5 segment SRB. And it is ready to go right now. It has been ready, on the shelf, for several years while billions have been wasted on the New Space hobby rockets. I would hate to see the SLS as the only launch vehicle America has. It brings back President Reagan’s speech when he said that the space shuttle transportation system would launch all of America’s satellites. We know how that ended up. Likewise, the same with the EELV’s & newspace launch vehicle. If we follow the airplane industry model, we will have a gov launch system & many commercial launch vehicles acting together in tandem to reach future objectives. Though the SLS uses Shuttle heritage boosters and engines, that is the only connection. Comparing the two is completely misleading and false. The shuttle in many ways is more like the Falcon and any “we know how that ended up” comments should be directed towards New Space. The shuttle was a do-everything-pay-for-itself cargo bay of dreams that could only reach Low Earth Orbit. It was designed for human spaceflight but had no escape system. It was designed to carry satellites but wasted most of it’s payload on the orbiter- and needlessly risked humans every time it took commercial satellites up. Landing back at the cape (like SpaceX is supposedly going to make happen) was supposed to save money but…. The reason it was such a fiasco was going cheap. Just like SpaceX and Orbital. There is no cheap. A think tank study projected ridiculously low prices and the public bought it. NASA went along with the game because it was the only way to keep a human spaceflight program after budget cuts killed the Saturn V. Building everything in Low Earth Orbit on the cheap is the same dead end now as it was in 1981. The ISS is not a space program because Low Earth Orbit is not space. And it ain’t no airplane industry. The SLS has nothing in common with any of the facts I just detailed. It was designed for one thing; to leave LEO far behind. So I question the veracity of your statement Art. I laugh at the notion that the space shuttle was “going cheap”. At half a billion to $1.6 billion (depending on how you do the accounting) the shuttle program was absolutely NOT CHEAP. SLS is going down the same path of extremely high fixed costs coupled with high reoccurring costs. Saturn V was cancelled because of the high costs. Repeating this mistake with SLS is a recipe for an economic and programmatic disaster. There is also the issue that there isn’t a broad user base to spread the high fixed costs and high recurring costs over. That is how the airline industry makes it work with their high costs. Fundamentally, the question is how do we dramatically increase the user base of spaceflight, going to any destination. When Falcon H first flies will they recover all three stages? They will obviously recover at least one. Is Musk happy enough with his barge design to be building the next one soon? Maybe That’s two cores saved. Two save three cores one has to fly to pad 13. Is that likely so soon? I doubt it. So my guess is they recover two cores on their first falcon heavy launch. How modular are falcon 9 cores? Can a standard falcon 9 core be flown as a falcon H side booster? If not, why not? cross tanking, mounting hardware? Well maybe they should be modular. Wouldn’t it be amazing if two of the cores on falcon Heavy’s maiden flight already flew before. SpaceX foots the whole bill for the maiden flight. What better way to demonstrate reusability. The only way to really answer your question is to drop the cost of launch and see how much new business is generated. My guess is that Spacex’s four launch sites are going to get very busy!!! I stand by what I stated. Apollo & Shuttle was supposed to work in tandem with shuttle being LEO & Apollo being BEO. However, shuttle was the only survivor of the then POTUS & the Congressional budget cuts to NASA. Now, 40 plus years later NASA is back where it was with SpaceX leading the commercial charge to LEO while NASA focuses on it’s BEO infrastructure. Sure SLS/Orion is eating a portion of NASA’s budget. But, only because it haven’t been properly funded with budget increases. NASA has long needed a company like SpaceX & it’s Falcon family of vehicles to get the public/private sector interested in getting into LEO & BEO. A Falcon Heavy class vehicle & it’s prices are going be an enabler of dreams for people like Bigelow. Why can’t it be like the Airline industry or similar in time. The only comments that I want towards new space companies is “Full Steam Ahead.” Calling SpaceX & Orbital “cheap” is a low blow. It is an insult to the many professionals(engineers & others), who have spent countless hours & millions of their company’s dollars to establish a product. Fortunately, the visionaries of these companies doesn’t think like you. Well so much for that, how many years has this not launched yet after being promised? Are we sure SpaceX isn’t government?